Brazilian MMA organization Watch Out Combat Show (WOCS) held its 51st edition this month with an interesting fight to open its main card. Out went the gloves, and in came the gis. On one side was Rafael Iunes (Gracie Barra), and on the other was Tiago Araújo of Infight. The duel followed IBJJF rules in everything except shape of the fight area. Tiago got out ahead with a good guard pass, but Rafael was paying attention — he managed to get rid of the tough position and take the back, whence he started attacking with a choke. 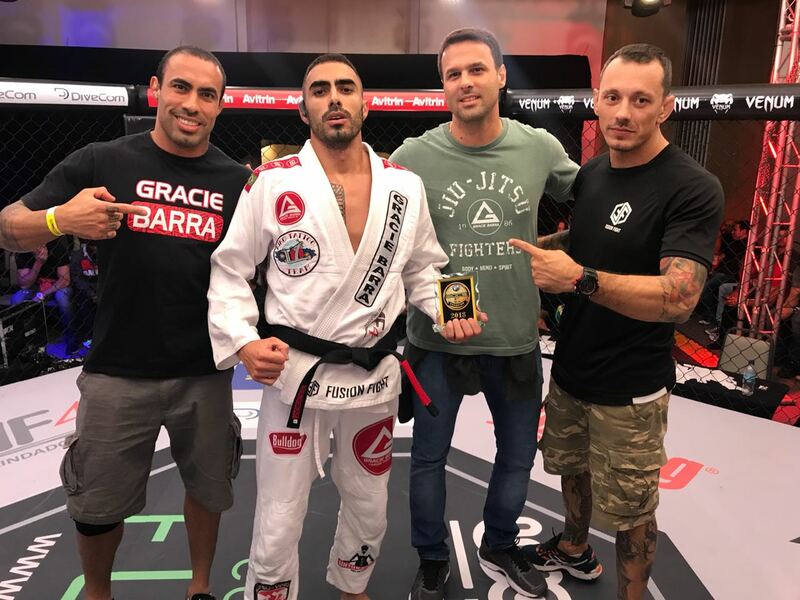 His brother Guilherme advised him to invest in the position, and Rafael kept squeezing right up until his opponent passed out with less than one minute to go.